EclipseCon Europe 2017 is upon us! It's our biggest event of the year and it starts next week, on October 24 in Germany. There's so much to learn at the conference. We asked some speakers to write about topics they will be presenting to give those of you who can't attend a taste of the content. View talk list. 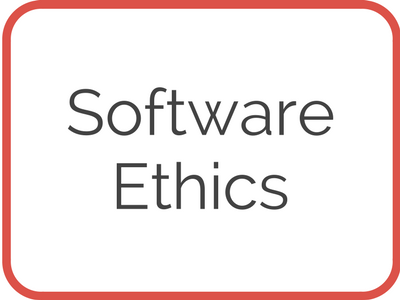 Read on to learn all you need to know about JUnit 5, e4 on JavaFX, scripting with EASE, embedded tools and Eclipse CDT, the Ferret search tool, and software ethics. We will be filming the EclipseCon Europe talks, so stay tuned for those. We launched our yearly donation campaign this month. Great news, you can now donate via credit card without PayPal! 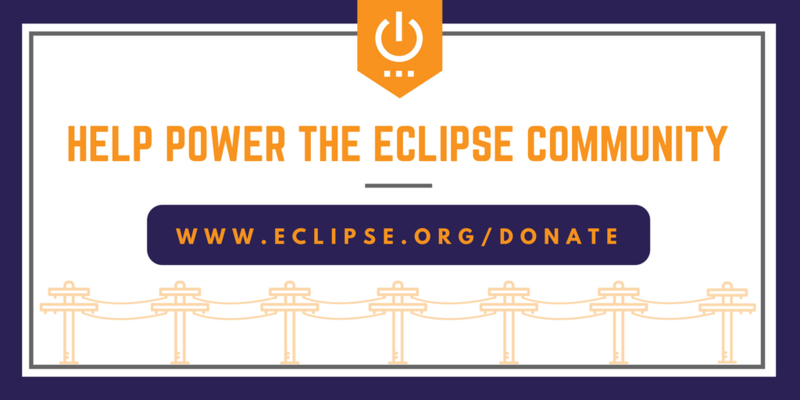 Power the Eclipse Community by donating today. 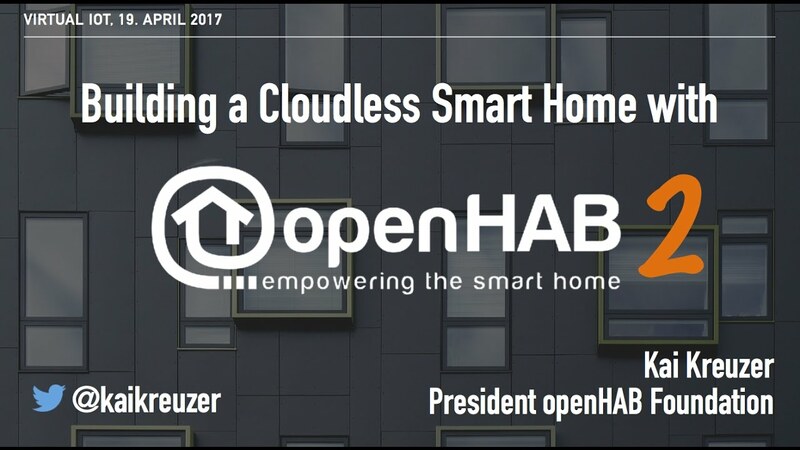 The first issue of the quarterly Eclipse IoT Newsletter was published! Read it now and subscribe to receive future IoT newsletters directly in your inbox. Did you know? JavaEE made the Eclipse Foundation it's new home! Learn more. 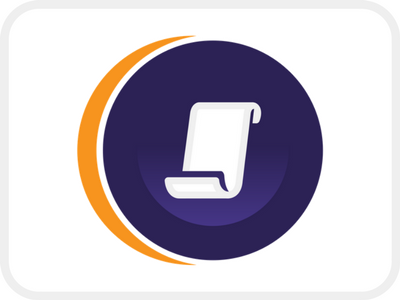 Tweet us #EclipseCon you'll be at EclipseCon Europe next week! 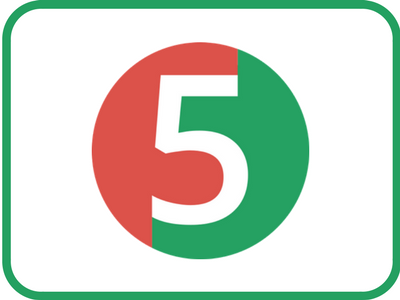 JUnit 5 is out the door as the next generation test framework! Here are some tips and examples to help you work with it. 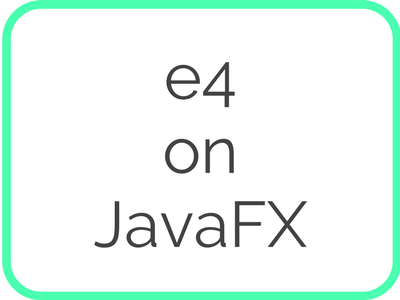 Develop applications and write 100% framework free business components with e4 on JavaFX. Scripting Eclipse – just rapid prototyping? Scripting is powerful. Learn more about scripting itself and about the Eclipse Advanced Scripting Environment (EASE). 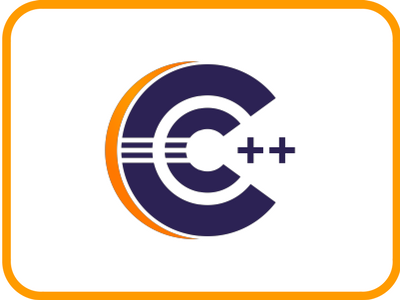 Eclipse CDT is the industry standard C/C++ IDE powering the design and development of embedded systems worldwide. 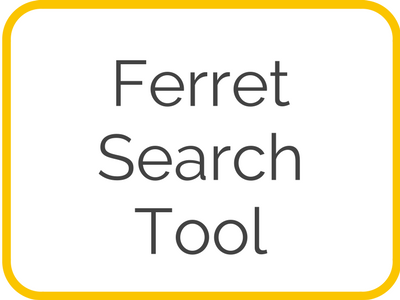 Discover Ferret, a conceptually simple software exploration tool that seeks to summarize how a program element relates to the rest of the software system. Software is impacting every area of our lives and will be even more omnipresent in the future. How can we be more ethical about it all? 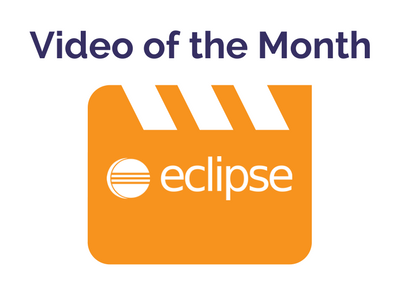 Each month, we will post the most popular YouTube video from the Eclipse Foundation YouTube Channel here. Subscribe to our channel and share videos about Eclipse technology with us. How to see the difference between expected and actual results in grouped assertions in JUnit 5. 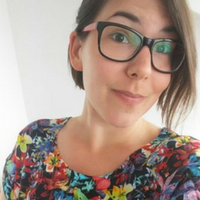 Click on the gif to view the original tweet and gif. Want more tips? Follow @EclipseJavaIDE on Twitter. Have Eclipse project or member news to share with the community? Email us. Eclipse EE4J: Eclipse Enterprise for Java (EE4J) is an open source initiative to create standard APIs, implementations of those APIs, and technology compatibility kits for Java runtimes that enable development, deployment, and management of server-side and cloud-native applications. EE4J is based on the Java™ Platform, Enterprise Edition (Java EE) standards, and uses Java EE 8 as the baseline for creating new standards. Eclipse Deeplearning4j: enables developers and large organizations to build deep learning applications, covering the whole deep learning workflow from data preprocessing through distributed training and hyperparameter optimization and production-grade deployment. View all the project releases here. Eclipse events are being hosted all over the world! Get involved by attending or organizing an event. View all events. Are you hosting an Eclipse event? Do you know about an Eclipse event happening in your community? Email us the details events@eclipse.org!